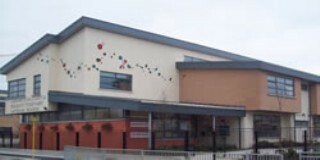 Adamstown Castle ETNS is a new and vibrant school in Adamstown, near Lucan, Co. Dublin. It opened in 2007 with 57 students and 5 teachers. Two Educate together Schools and one Catholic School: ourselves, Esker ETNS and St. John the Evangelist, started on the same morning, in the same building in September 2007. Shortly afterwards, St. John’s moved to their own building just beside us, across the car park, and a few years later Esker moved out as well, to a nearby location within the Lucan area. Currently, our school has 25 teachers, 5 SNAs, and approximately 400 pupils from Junior Infants to Sixth Class (also including the Special Needs Unit). Most of the students live in the Adamstown area, within walking distance. We are very lucky to be a part of a multicultural community, with over 45 different nationalities represented in the school.